Anne Brubaker of the Writing Department and Research and Instruction Librarian Laura O’Brien collaborated in Spring of 2011 to create an assignment, the purpose of which would be to guide students in Anne’s First Year Writing courses through the process of choosing and refining a paper topic. Anne and Laura developed an assignment titled “Research Roadmap,” which asks students to compose a short paper proposal several weeks in advance of their first rough draft. In this document, students describe the questions or ideas that led them to their topic, what they need to know more about in order to proceed, how they plan to go about answering these questions, and why their topic merits further consideration and research. Students are asked to email the assignment to Anne about a week prior to the day Laura is scheduled to come into their class for a library research instruction session, which allows time for feedback on their proposals. 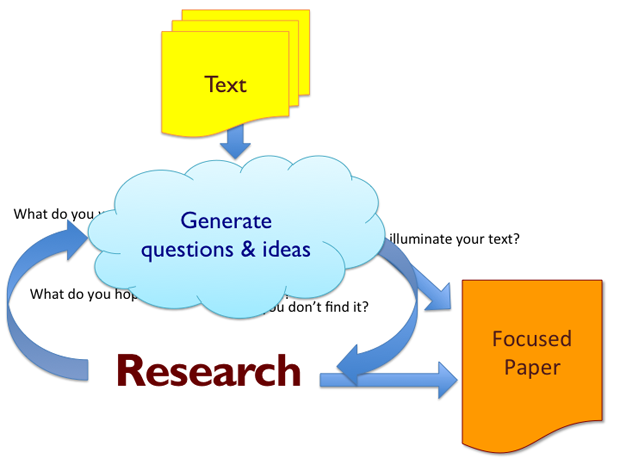 The students’ Research Roadmaps are shared with Laura in advance, allowing her to prepare a tutorial which highlights some of the best ways to approach researching their specific topics. Anne presented the “Research Roadmap” assignment to the First Year Writing faculty in Spring 2012 along with her observations of the positive effect it has had on the quality of her students’ papers over the past four semesters and has already inspired some of them to incorporate such an assignment into their own courses. Molly Blasing, Visiting Lecturer in the Russian Department, adapted a version of Anne and Laura’s “Research Roadmap” for use in her First Year Writing class for the Fall 2012 semester.